1THE9 will debut on the 13th of April. The boy group will release their first mini album titled ‘XIX‘. Before the release of ‘XIX‘ the group will drop their music video of ‘Domino‘ featuring artist Crush and Gxxd. 1THE9 is a boy group made from the survival show ‘Under Nineteen‘ that started airing late last year. The group has nine members. Check out the release schedule below. 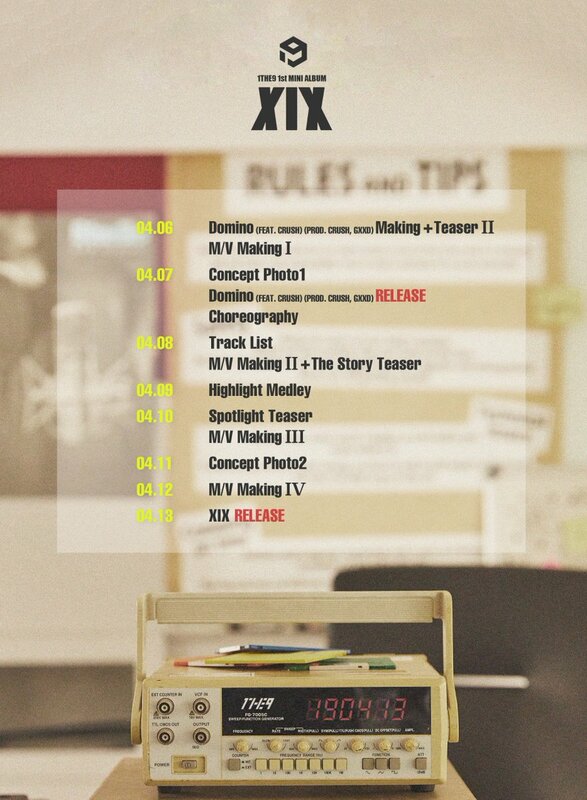 This week will be packed teasers from 1THE9! Are you excited for their debut? Tell us in the comments below!